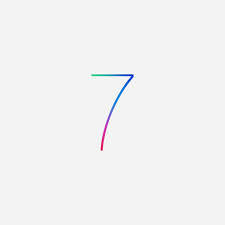 We have discussed the key features of iOS 7 in our introductory article recently. This time we decided to share and explain those features that have not been mentioned by Apple at WWDC 2013, but have been discovered by early adopters who have already tried Beta version of Apple’s mobile OS. 1. Audio-only FaceTime calls have been given just a few seconds during the keynote of (Apple’s Senior Vice President of Software Engineering). What this little nugget brings is to let users have a voice-chat with others—no phone plan needed—but only over Wi-Fi. 2. In difference with previous iOS versions, which brought software support for the gyroscope and accelerometer, iOS 7 has got the latest 3D space-tracking technology: an inclinometer. Inclinometer measures the angle of slope/tilt with regards to gravity. This may cause more apps incorporating awareness of up and down movements, rather than just side to side. 3. One of the more-technical terms on iOS 7’s additional features is the Wi-Fi HotSpot 2.0 automatically seeks out Wi-Fi subscriber services (for instance, AT&T’s hotspot network for an AT&T iPhone subscriber) and joins them when user is in the area. 4. No need to manually update the apps you’ve downloaded is probably one of the most handy features ever implemented. It means there is no more updates tab, as the updates are downloaded in the background. 5. Those who like to walk, but are not familiar with the surroundings, will find the new turn-by turn walking directions quite useful, keeping them from having to pull out the phone every five minutes to check that the turn they made was indeed the right one. 6. Those who suffer from constantly adjusting their iPhone brightness when using it as a nighttime navigator, now there is a night mode for Maps. While Apple didn’t demonstrate exactly how it might be applied, a brightness slider or black/white mode would be much appreciated. 7. Similarly to iOS 6 before it, iOS 7 offers a few nice region-specific features for international iOS users. The operating system will come with new vocabularies for Italian, Korean, and Dutch speakers, as well as a Chinese-English bilingual dictionary; handwriting recognition for multiple Chinese characters; and support for Chinese micro blogging service as well. That’s all by now. Do not hesitate to share if you’ve too found something in iOS 7 that Apple didn’t voice up about!